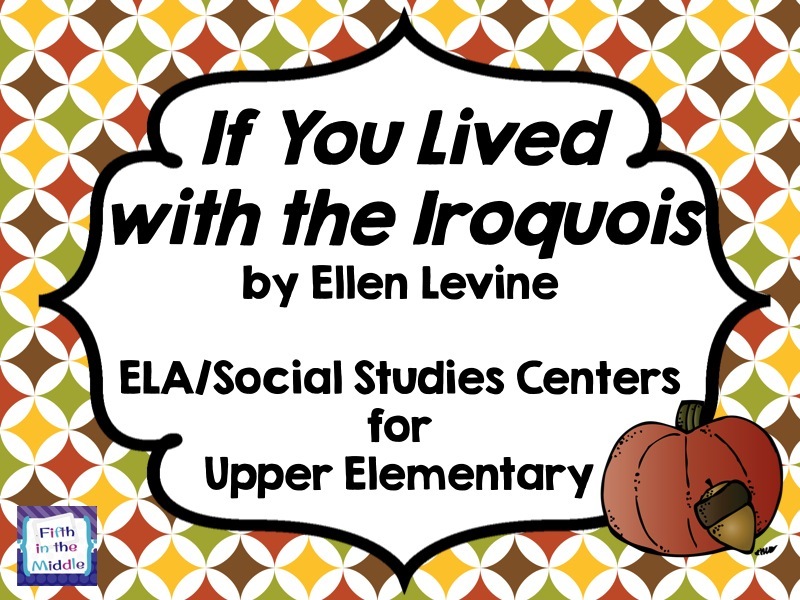 This week we read the book If You Lived with the Iroquois by Ellen Levine. I love these books, and we have many other books in the same series - Cherokee, Sioux, Hopi, Northwest Coast, as well as many of the colonial ones. I needed something to get these kids up and moving because even though the book is interesting, it is long. Interesting fact - The Mohawk men didn't shave their heads to create the typical "mohawk" hairstyle. They actually plucked out their hair and left the section down the middle. Ouch! 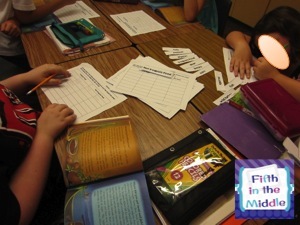 Anyway, I picked out a few things that I wanted the kids to know for sure based on the fifth grade social studies standards and made some centers. 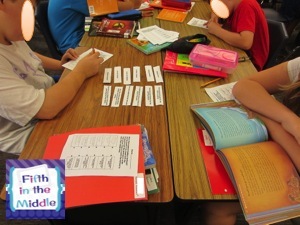 I am lucky enough to have a class set of these books, so I gave everyone a book and divided them into five groups. At one center, they put festivals in order and matched them to the reasons they were celebrated. Another center was putting events in order for the process of making a deerskin into clothing. I knew when students got to the part about using brain cakes when I heard the "ews" ;) The third center was sorting jobs into those done by men or women. Another center focused on foods that were and were not eaten by the Iroquois. 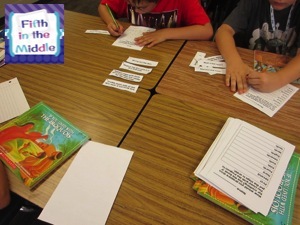 The final center consisted of eight multiple-choice questions where they had to locate the answer. 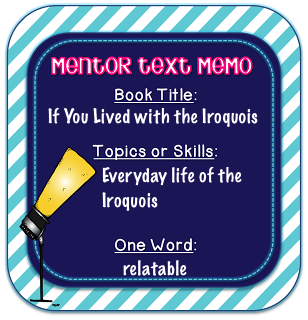 I am linking this up to my Native American linky. 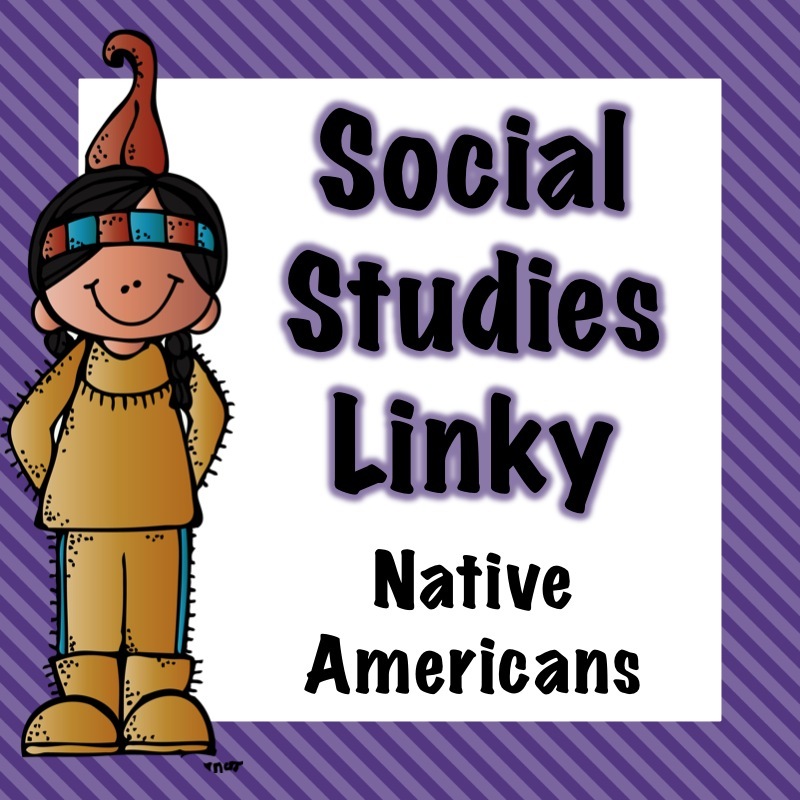 Remember as you are blogging about your Native American, American Revolution, and Reconstruction activities, please link them up! Update: I just added geography, Presidents, Explorers, Constitution, and 13 Colonies! wow, great, we are starting that research next week. I'll look into the book!